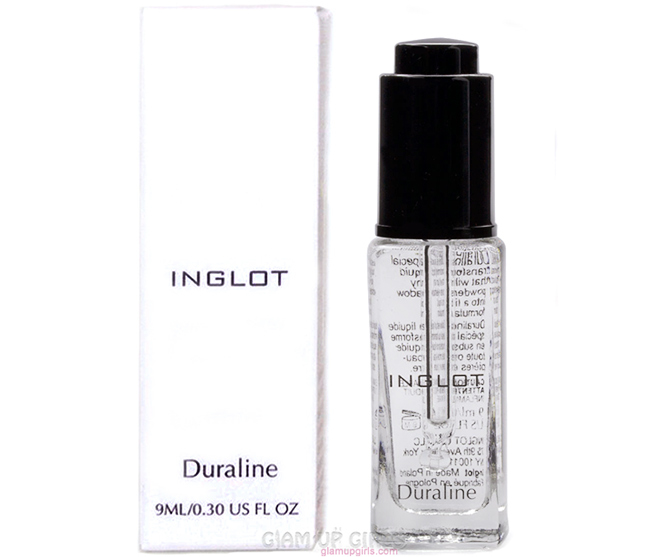 Today i am going to talk about product from brand Inglot called Duraline which is quite famous and is mainly used to turn your powder makeup into cream or liquid form. If you love to experiment with your makeup then this product will help to make your makeup multitasking but this is not the only way to use it. It can also be used to revive your old makeup which is waiting to be thrown out. Let me tell you how many ways you can use it. Water-less clear liquid that can intensify the color of any powder and transform it into an easy to apply, water resistant liquid. Paraben free. 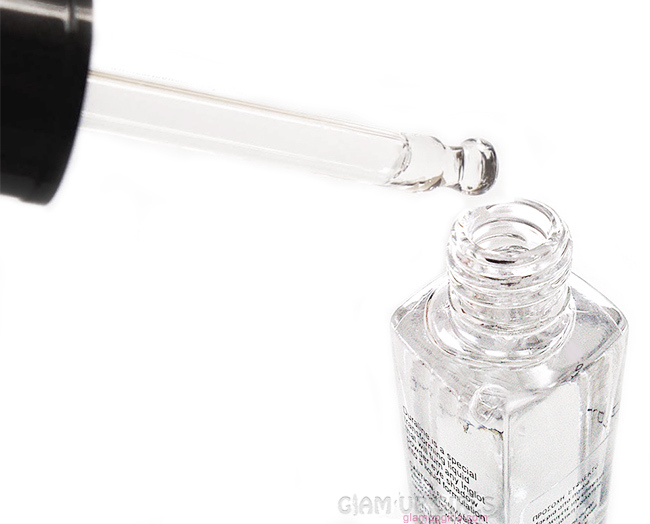 It comes in small transparent bottle with dropper to use the product. The cap have push button instead of squeezable dropper which is tricky to use at first. The formula of duraline is clear like water with little thick consistency then very liquidy. The product seems less in bottle but very little amount like tiny drop is required every time you use it. As it is water resistant, it turns your products not only long lasting but smudge proof as well. It is kind of magic in bottle for makeup which can be used in multiple ways. 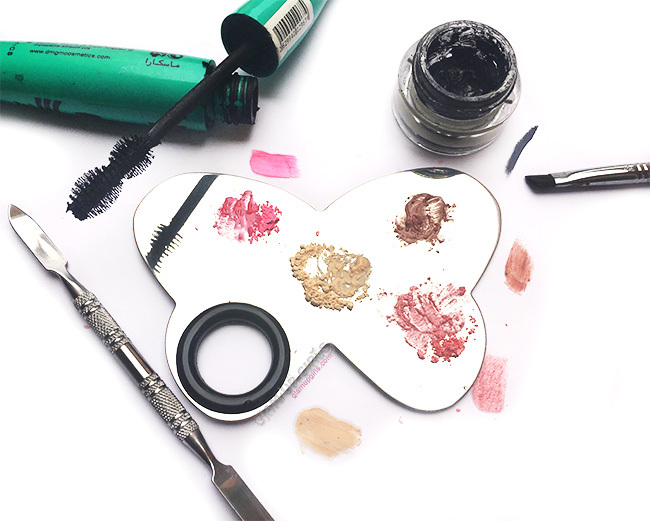 Revive dried gel eyeliner or mascara with tiny drop. Turn powder eyeshadow into cream eyeshadow which will be smudge proof, water proof and long lasting. Turn sheer eyeshadow color into more intense pigmentation. Create color eyeliners from any eyeshadow powder so you don't have to buy them separately. Using it on eye brushes help application more even, creasless and long lasting. Turn thick foundations into more creamy texture to apply it smoothly for even skin tone or mix it in setting powder to use it as liquid foundation or concealer. Make liquid highlighter or cream contour from powder highlighters or contour powder. Make brow pomade or brow mascara from brow powder or any eyeshadow. Create long lasting lip colors from any eyeshadow. Turn shimmery eyeshadow into metallic lipsticks. The good thing about this product is that after it dries up, it doesn't feel cracked or patchy and remains smooth till the end of the day with smudge proof and long lasting benefits. Even the old dried up products like gel eyeliner becomes as good as new. If your oily eyelids doesn't hold makeup for long then application with this product will solve your problem and make the makeup long lasting and smudge proof. Whether you want intense pigmentation or liquid formula this multitasking product help you get them from old makeup with very little amount. The only downside is that it dries up quickly after mixing so you better use your product quickly. The mixed product will not be useful for next time and you have to create the mixture again. It is hypo allergic and is suitable for sensitive eyes and using it in gel liners or mascara doesn't irritate them. It is also safe to use in lip products as it has no taste or bothering smell. Overall this product is worth having, it can be used in ten different ways, as i mentioned above, with only tiny drop. The amount in bottle seems less for its price but with careful use, it can last for very long.